The Singapore government has plans to boost AI capabilities through the establishment of a new national programme called AI.SG as part of its Smart Nation push. This will see the National Research Foundation (NRF) invest up to SG$150 million over five years in AI.SG, said Low Teck Seng, CEO, NRF. The initiative will be driven by a partnership which includes the National Research Foundation (NRF), Smart Nation and Digital Government Office at the Prime Minister’s Office, Economic Development Board (EDB), Infocomm Media Development Authority (IMDA), SGInnovate, and the Integrated Health Information Systems, or IHiS. The new programme will have three functions. Firstly, it would address major challenges which affect society and industries. Next it would invest in deep capabilities to catch the next wave of scientific innovation. Lastly, it would grow AI innovation and adoption in companies. The focus areas of application for AI.SG include finance, city management solutions and healthcare. The government will also look towards supporting Singapore-based tech-product companies through its initiative Accreditation@IMDA. Through this it has partnered DBS, OCBC and UOB in creating and supporting fintech solutions. The initiative was launched in 2014 and collaborates with SG Innovate and industry accelerators to provide customised assistance to high-growth start-ups and SMEs to accelerate their growth, and to internationalise through IE Singapore and our enterprise partners. 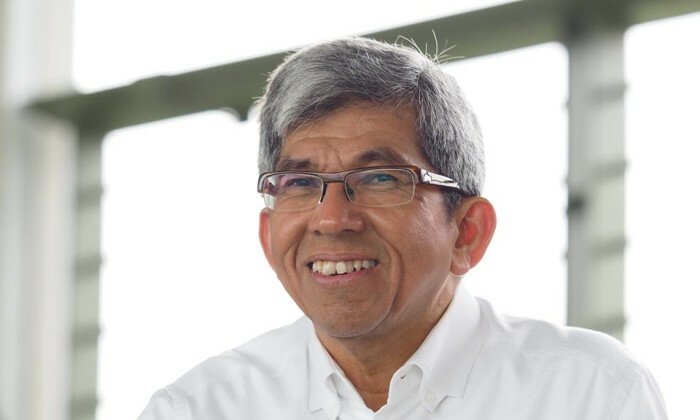 “Through these partnerships, Accreditation@IMDA will support the banks in driving innovative fintech solutions within their organisations and sector,” Yaacob Ibrahim (pictured), Minister for Communications and Information, said. Meanwhile, in a bid to boost data science and analytics technological capabilities, a Singapore Data Science Consortium has also been formed. This sees NRF collaborating with the National University of Singapore, Nanyang Technological University, Singapore Management University and the Agency for Science, Technology and Research, or A*STAR. The consortium will work to help the industry to adopt data science and analytics technologies to address real-world challenges. “AI and data science are key frontier technologies that the Singapore Government will harness and build capabilities in. In the longer-run, such investments will enhance the economic opportunities for all Singaporeans,” Ibrahim said. Meanwhile, Ibrahim revealed that the recently launched SMEs Go Digital Programme has close to 50 pre-approved digital tech solutions that SMEs could tap on to innovate. Most recently, the Singapore government unveiled plans to invest SG$80 million in the SMEs Go Digital Programme. The programme was said to be led by the IMDA, which will work with SPRING and other sector lead agencies in this effort. It will also start with sectors where digital technology can significantly improve productivity such as retail, food services, wholesale trade, logistics, cleaning and security. Catchy song, a fancy performance and adorable kids - IKEA has a recipe for a viral video on its hands for its latest online platfo..